The Royal Commission into Institutional Responses to Child Sexual Abuse has uncovered more problems than they’ve solved. Lawyer and former State ward Peter Kelso has represented many victims of sexual abuse. He has witnessed first hand the devastating effects these churches and institutions have had on their victims. As a foster child, he experienced firsthand the failings of the child welfare system. As part of his work for the victims and his ongoing interest in the Royal Commission, Peter has written about several key issues coming to light from the Commission. As part of his work for the victims and his ongoing interest in the Royal Commission, Peter has written about several key issues coming to light from the Commission. 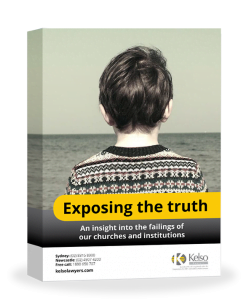 This ebook contains the most prevalent and popular opinion pieces written by Peter Kelso and his team.